GRC eLearning, a leading provider of staff awareness e-learning courses focused on cyber compliance and data privacy, has released a revised version of its popular Information Security and Cyber Security Staff Awareness E-learning Course. The course has been designed to include in-depth cyber security material to equip organisations with the necessary knowledge and skills to efficiently tackle cyber risk. With cyber threats on the rise and information security increasingly influencing consumer trust, the need for thorough training is greater than ever. The three pillars of effective information security are people, processes and technology. However, while organisations are spending more on technology and implementing increasingly sophisticated processes, they often fail to address the most vulnerable of the three pillars – the human element. 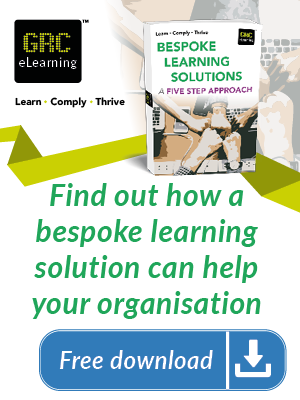 Chris Hanwell, managing executive of GRC eLearning, said: “Staff awareness is crucial to effective information security and maintaining cyber resilience. The ICO (Information Commissioner’s Office) has found that four of the five top causes of data breaches are because of human or process error. The aim of the Information Security and Cyber Security Staff Awareness E-learning Course is to reduce the likelihood of human error by familiarising non-technical staff with security awareness policies and procedures, as well as with the types of cyber threats and attacks they could encounter. The course is available in the form of a one-year licence, which can be either individual or corporate, depending on the number of users required, and is hosted on GRC eLearning Limited’s LMS (learning management system). To purchase a licence, please visit the product page. 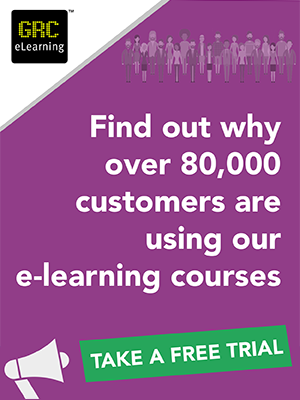 For more information about GRC eLearning courses, visit the website, email servicecentre@grcelearning.com or call +44 (0) 330 900 2002.